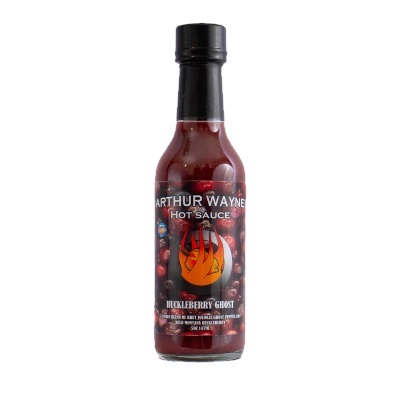 Wild Huckleberry is what makes the Huckleberry Ghost sauce so unique. The flavor of the berry and the ghost pepper blend well. Small batches will be made seasonally to insure the freshness of the berry, and will only be available in the summer of each year. Our sauce will not burn your face off, but will bring the right amount of heat to the table. Enjoy!